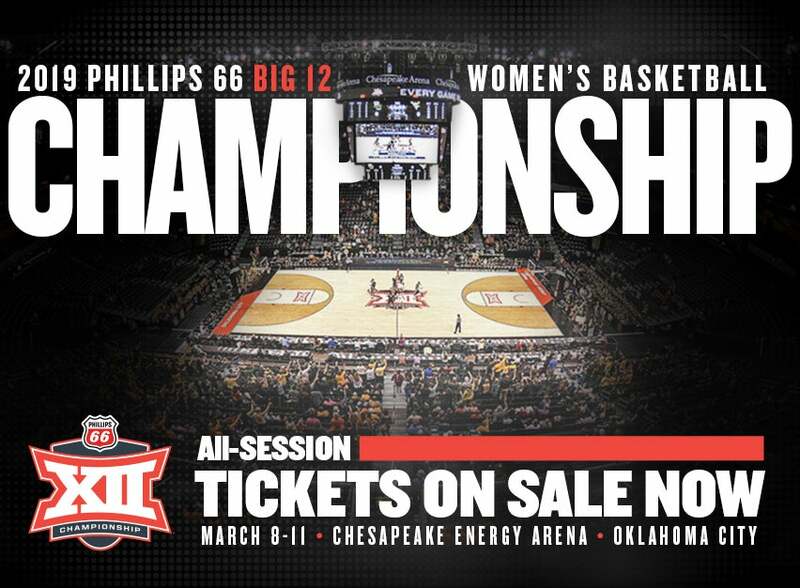 All-Session tickets for the 2019 Phillips 66 Big 12 Women’s Basketball Championship are on sale now. The women’s championship will be played March 8-11 at Oklahoma City’s Chesapeake Energy Arena, which serves as home to the Oklahoma City Thunder of the National Basketball Association. All-Session tickets are priced at $110, $85 and $50, plus applicable service charges. All spectators beginning at age two must have a ticket to enter the arena. Tickets will be available through Big12Sports.com/BuyTickets. They can also be purchased at the Chesapeake Energy Arena box office Monday - Friday from 10 a.m.-5 p.m. CT and on Saturdays from 10 a.m.-2 p.m. CT. The box office accepts Mastercard, Visa, Discover, American Express and cash as methods of payment. The Phillips 66 Big 12 Women’s Basketball Championship is being contested in Oklahoma City for the fifth time in the last six years and the seventh time overall. Following is a complete championship schedule. Game 7: Game 3 Winner vs. Game 4 Winner 2:00 p.m.
Game 8: Game 5 Winner vs. Game 6 Winner 4:30 p.m.